Check out our Facebook page and learn how to enter a contest to win some rice! Rice is one of the most significant foods in human history. The word "gohan" in the Japanese language refers to "cooked rice" and "meal" encompassing the influence and centrality of this vital grain. Rice is unique in its ability to evoke a sense of nostalgia for those who grew up eating it or when cooking a traditional family recipe. From seedling to table, rice remains a symbol of tradition and community - the perfect shared experience for generations. Rice has a time honored place at the table and is deep seated in the traditional and contemporary fabric of many cultures. Through this context we celebrate our signature rice as a unique contribution to any meal. 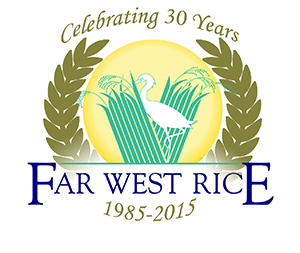 Whether home based, or in the professional setting of a sushi restaurant, Far West Rice brings to your table culinary possibility with the best California premium medium and short grain rice varieties.